Drew didn’t want to be a product of his environment. He rose above his surroundings and showed others how to live healthy. The best part: he’s just getting started! I wanted to be in the best shape of my life. Living in Michigan, where the obesity rate is outrageously high, I watched my friends, family, and what seemed like everyone around me, struggle with their weight. I had friends who looked 10 years older than they should because of their weight. I was tired of having no energy, no passion in my relationships, and saw myself going down the same road as many people around me were. The interest people had in my transformation overwhelmed me. I had people coming to me for advice, direction, and mentorship, asking, "What are you doing? How are you changing your body like this?" These types of questions made me an educator on body transformation. My life completely changed after my transformation. I have more energy, sleep better, and communicate better. I believe everything in our life is reflected in our physical body. Once I was able to transform, all other aspects of my life improved. I became an expert at transformation with a greater degree of body awareness. I know what to eat, when to eat, and how train. Something I used, and strongly recommend so you don't give up, is to define a strong "Why" for your transformation and make it public so others hold you accountable. Throughout my transformation, I had Facebook fans/friends for accountability. At the beginning, I publically posted my transformation "why" and instantly had support and interest from my social network. If I gave up, I'd be letting every single one of them down. My inspiration came from wanting to get the most out of life and the drive to help others do what I accomplished. I geeked out on quality, organic vegetables, high quality natural proteins, grass-fed beef, pastured eggs, and wild caught local fish. My secret weapon was juicing vegetables. I did three-day juice fasting once a month. I also incorporated an intermittent fasting protocol. 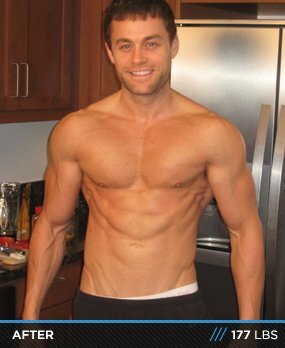 I was able to get lean fast without losing mass during calorie deficits because I was juicing and making an abundant amount of nutrients available to my body. I tested my metabolic type and found that I'm a fast-oxidizer; a protein type. I ate often; primarily low carbohydrate-paleo. I turned into a total caveman. I worked out six times a week and incorporated stair sprints or treadmill sprints twice a week. Occasionally, I did two-a-days in the morning and afternoon. The diet. Being social with my friends in San Diego and avoiding alcohol and the other things was difficult. I overcame it by continuously thinking about the future, imagining my future self, and creating this new identity. Too many people change their body and end up back where they started because they didn't change their mindset and identity. This was critical to my success. I created a new identity, transformed my body, and life. My transformation has inspired me to become a resource for others looking to improve their health. I've become a transformation coach, teaching the principals I discovered. I developed an online show, FitLife.tv, where we interview health experts all over the country. We have 4-5 new episodes that come out weekly about fitness and health. Our goal is to create a documentary and have it on Bravo or ABC so we can have a mass-scale impact. Declare your "why" because transformation begins in the mind. Post a short video and share it. Why do you want to get healthy or stay healthy? What do you want to feel like? What will others say about you after your transformation? 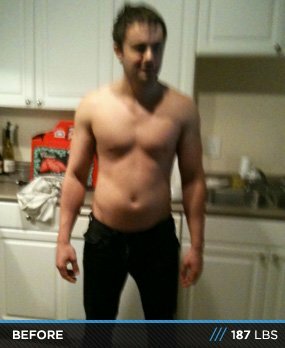 The videos and podcasts were hugely helpful and much of my workout planning and inspiration came from Bodybuilding.com. I found the articles extremely helpful during my process and want to make a point of sharing this quality content with my fan base.